Are you in search for the best Social Media Monitoring Tools in the market? Social media marketing has come to stay and it has probably replaced other forms of traditional marketing. In fact, a lot of digital marketers, bloggers and small businesses solely rely on social media to reach their target audience. Social media monitoring tools provide functionality for listening, tracking, and gathering relevant content across wide ranges of social media. They help to keep abreast of what’s happening on major social networks, while also giving room to monitor marketing campaigns. These social media analytics tools help businesses to find out what is being discussed about them, their competition and other topics of interest. Take note that Social media monitoring could be as easy as checking your email notifications to catch a glimpse of what’s happening on Facebook, Twitter, Quora, and other social media platforms. However, this list of the best social media monitoring tools comprises of more professional social media monitoring software for those who are serious about monitoring social trends. These 17 social media monitoring tools are intended to provide demographic data, understand social media presence, identify negative mentions, engage users, and improve a brand’s reputation. 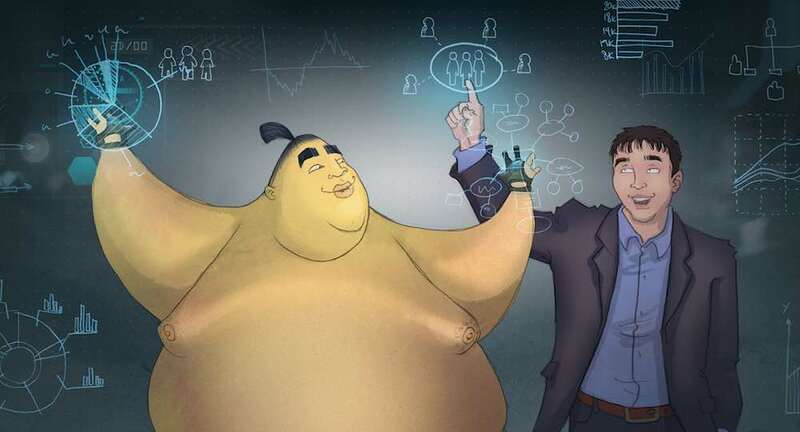 BuzzSumo becomes a tremendous resource when you are thirsty for virality. Once you plug a URL or a topic into the given field, it will show the number of social shares each article in that genre gets. This result will help you generate content ideas as you can see what has been covered and how much traction it has received on social. It is also the fastest way to find out who the key influencers are in a niche community. BuzzSumo Pro has an alert feature that notifies users of some very valuable citations almost immediately after they were published online. In a heartbeat, it’s cost effective and very good data so it’s a no brainer. NetBase is a social media analytics solution which is popularly used by some of the world’s most coveted brands. It is an award winning social media analytics platform which caters to global companies. It helps them run their individual brands successfully and improves the overall success of their business. Every second, NetBase helps connects brands to their existing customers and potential customers. It provides marketing research, PR, sales, customer service and product innovation services to their clients. It processes millions of posts on social media on a daily basis. There are several options you can choose from using NetBase. It accurately tracks brand health by using customer program voices. It can also efficiently monitor and keep track of various digital campaigns. By using trend exploration, NetBase is able to locate new emerging opportunities which help brands determine the products and services their customers are looking for. It also has a unique feature called The Audience 3D which produces a significant multi-dimension story. It assesses more detailed information regarding analytics. It can also integrate specific stories of customers which are relevant in reporting functions. NetBase is one of the most trusted social media monitoring tools today because of its ability to increase customer satisfaction and improve the profitability of its clients. Although Trackur has one of the most basic appearances compared to other social media monitoring tools, it happens to be one of the most helpful tool brands can use. Trackur has been offering the best tools for businesses since its inception in 2007. There are currently more than 70,000 people who make use of Trackur for their businesses. It is an effective social media monitoring solution for brands who are looking to expand their audience. Some of the world’s most trusted publications have recognized Trackur as one of the best in the industry. Forbes, USA Today, Inc. Magazine and CNN have all praised Trackur for its amazing capabilities of providing insights related to reputation management. They continue to be a leader in the industry as they share their expert advice with thousands of their clients. For only $97, you will be able to make use of powerful measurement tools. This is significantly less than how much you would have to pay for other social media monitoring tools. Using their Executive Insights, you will be able to view the number of new results on your page. It can also track the velocity change and share of voice. These results will help you understand what your customers love about your brand so that you can continue to satisfy their needs. Klout is one of the most controversial social media monitoring tools in the market. Although it’s a major competitor in the industry, it has garnered mixed reviews from its users. It all started with the Klout Score which was specifically designed determine how well your brand is performing. It is a value between 1 and 100. According to the creators of Klout, the Klout Score provides very accurate results. However, not everyone is convinced that it provides any type of relevance to businesses. Amidst this controversy, Klout continues to be one of the most used social media monitoring tools today. It is able to gauge competitive social performance which helps brands adjust their marketing strategies according to current trends. It also provides an amazing insight into how your brand is performing in comparison to other similar brands in the industry you belong to. Klout understands the importance of influence for your social media accounts. It is the ability for your brand to encourage your followers and fans to perform a certain action. Once your brand is able to garner a response from your followers, it means that you are a successful influencer. If your Klout Score is high, it means that your business is thriving. If you are managing multiple accounts on different social media platforms, you should get a Hootsuite account. You can save time by managing all of your social media marketing efforts from a single dashboard. With HootSuite’s platform, you get the tools to manage all your social profiles and automatically find and schedule effective social content. With Hootsuite, you can Track brand sentiment, follower growth, plus incorporate Facebook Insights and Google analytics. You can also draft and schedule messages to send at a time your audience is most likely to be online. They have two different packages; free and premium. You can start with the free accounts and manage up to 3 social media profiles in one place, all with one password. The pro version can help to find content from trusted sources to automatically post, or review to share later. Brandwatch is one of the best social media monitoring tools because it collects relevant data from more than 80 million sources. These sources vary from different websites such as blog posts, news sources, review sites, forums and popular social media platforms. It reviews online conversations and provides a significant result in the same context. By measuring analytics, it helps thousands of businesses learn more about their customers. Gender ratio, age ratio and audience interests are all taken into consideration. You will also be able to receive alerts whenever a specific term you want to review is mentioned. Brandwatch is a powerful social listening and monitoring platform which provides deep insights regarding customer opinions. You will be able to receive insights from any topic available on the internet. It also helps businesses reveal what their customers are expecting from their brands. As a result, it drives product innovation and businesses are able to stay ahead of the competition. Trust Brandwatch to provide instant access to customer conversations so that you can focus on improving your company’s reputation. If you want to accurately track your mentions on various social media platforms, Mention is the ultimate social media monitoring tool you can use. It specifically tracks Facebook and Twitter mentions which can help your business interact with posts accordingly. As a result, you will be able to track your brand anywhere on the internet. Mention scours the web and helps thousands of businesses across the world develop the most relevant marketing strategies. Users will be able to monitor tracked keywords directly from their dashboard and assign them to various members of their team. Mention only costs $25 a month which is a great deal considering the prices of other social media monitoring tools. Brand Tracking doesn’t need to be complicated. Mention helps businesses learn about what their customers think about their brand. It effectively tracks competition, measures brand impact, finds potential customers, analyzes results, optimizes alerts and cuts through the noise. The way your customers perceive your brand online reflects how well you’re doing. After studying the results from this tool, you can make relevant adjustments according to the needs of your customers. Grow, manage & monitor your Pinterest account with ViralWoot. This social media software automates your Pinterest presence with a Pin Scheduler, so you can spend more time on high-value activities like engagement. Viralwoot is used by tens of thousands of businesses around the world including some of the big names. In fact, you can Earn money with ViralWoot by helping others with automating their Pinterest marketing. If your target audience is on Pinterest, then this is one of the best social media monitoring tools that suits your business. ViralWoot is used by over 72,000 marketers & businesses in 50 countries to gain insight into what works and what doesn’t on Pinterest. Crowdfire is one of the best social media monitoring tools to have if you want to establish a successful online presence. It has unique features which allow brands to gain a wider online presence. It works by connecting all of your social media accounts into one entity. It analyzes all the data found across all of your accounts and creates a unified result. Once it has been able to connect all your social accounts, blogs and websites it will allow you to grow your business. Crowdfire will monitor all of your accounts in real time so that you can have the most up to date results. It will figure out how you can further enhance your business. It will take you through different tasks everyday which will help you reach your goals. As a result, you will be able to gain a bigger following and gain more profits. Crowdfire automatically searches for content which your audience will enjoy. It helps its users find fresh new content to post on a daily basis. It knows the right timing of when your posts will receive the most traffic online. It helps brands and businesses become closer to their customers. It also provides the perfect overview of all the things you will need in order to become successful in the marketplace. Synthesio is another social media monitoring software which specifically targets enterprise agencies and brands. It can accurately track mentions from 100,000 websites and more than 195 countries. It is able to track even the most niche social networks in South America, Russia, Middle East and China. It has various types of tools which gather analytics such as activity heat maps and usual phrases related to your brand’s keywords. Synthesio believes that social intelligence begins with listening. It all starts with the accumulation of data and tracking mainstream media conversation on real time. Using its easy to use dashboard, businesses will be able to accumulate relevant data. What Synthesio provides is an industry leader in data coverage. Businesses will be able to measure the success of their campaigns, identify the top influencers in their website, better understand their audience and benchmark their brand status. It will also help brands focus on their most valuable insights which will result in bigger profits. If you want to successfully track keywords from all major forms of social media, Talkwalker will be able to provide you with exceptional results. It is considered to be the number one social media analytics platform today. It doesn’t only focus on social media apps such as Facebook, Twitter and Instagram. Instead, it also tracks keywords on blog posts, online news websites and forums. It effectively calculates Facebook and Twitter metrics. Talkwalker has a feature called share of voice which accurately measures how much a brand or user contributes to online discussions about relevant keywords. It provides its users the most comprehensive coverage of earned and owned media across more than 150 million websites. It also includes more than 10 social networks such as Youtube, Facebook, Twitter, Weibo, and Instagram. Monitoring social media activities is a crucial part of any successful business. Online engagement is also one of the most important aspects of promoting brand awareness. Since there are hundreds of thousands of brands to choose from, people heavily rely on other people’s opinions and recommendations. HowSociable acts as that monitoring platform which helps businesses improve their marketing strategies and monitor the customer’s voice on social media. HowSociable makes use of keywords to create a magnitude score which measures a brand’s weekly activities. It is measured by digits from 0 to 10. HowSociable provides the keyword score from 36 different websites. These sites range from major social networking platforms as well as forums. It costs $9 for three months or $99 per year. If you want to receive historical data dating back to the platform’s launch, you have to pay an extra fee. It currently has more than 29,000 users. SharedCount is a monitoring service which searches for the number of times a specific URL has been shared on various types of social media platforms. It receives more than a billion follower requests each month. It is a basic version of BuzzSumo. The main reason why it’s so popular is because it helps monitor how popular you are on social media. The best part about using SharedCount is that it offers various types of payment options. The most basic type costs $40 per month and it’s called Plus. You can also choose to pay $120 per month to be able to take advantage of additional features. For users who are committed to consistently using SharedCount, they can choose the Dedicated option which costs $450 per month. Users will simply have to paste a URL on the search bar. Then, SharedCount would automatically provide the results. Businesses make use of it because it shows them an accurate measurement of the likes and shares they’ve received. This includes those found across various types of social media such as Facebook, Pinterest, LinkedIn and Google+. Since it was established in 2010, it has consistently been one of the most successful social media monitoring tools on the market. It only takes between 20 minutes to an hour to generate results for each URL inputted. SharedCount is built directly into the Google App Engine which ensures that it delivers the most relevant results. Sysomos is an insights driven platform which provides marketers an incredibly easy way to track their brand’s progress. It helps search, discover, publish, engage, listen and analyze results from across various websites. It’s important for brands to stay in control of their digital strategy. This is because how your brand is perceived by the public directly affects the success of your business. Sysomos provides various types of helpful features which were specifically created to measure relevant analytics & social media perception. It helps businesses from various industries execute their social marketing tasks from a single platform. Sysomos also provides actionable insights which help marketers improve their strategies and cater to the needs of their customers. Since the tool offers unlimited searching, users will be able to access a wide range of historical data about their brand. These data have all been gathered from reputable sources across the internet. With the help of powerful analytics, Sysomos helps promote increased profits and a broader audience reach for brands. There you have it, the best social media monitoring tools and software for all forms of businesses. If you know of other great tools for monitoring social media then please let us know in the comments.